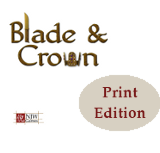 Home→Blade & Crown updates→A new edition of B&C? Why not just rerelease it as a revised edition with new art and maybe some optional rules then? If all the rules are mostly the same, it’s not really a new edition. Totally new mechanics might alienate people that already bought into B&C, too. Maybe include an adventure at the end or expand some of the lore for the setting if you want some more content? I dunno just spitballing here. Yes, it would be a revised edition, not a whole reworking of the rules. Sorry, maybe I should’ve clarified. Here’s the thing about new art: It would take a bunch of money, money that I don’t have. So it would probably involve a Kickstarter or something of that nature. The basic rules do include an adventure, or at least an adventure seed (The Gift Map). As for expanded lore, I’ve long wanted to develop Calteir into a full setting and publish it somehow, but that, too, would take a bunch of money in advance. Are the rates any lower there than in the US for art? 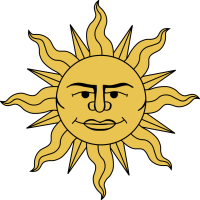 You might be able to negotiate a lower amount in advance in exchange for a cut of future profits or something, too, or maybe a discount if you use this artist exclusively for a few different projects… I guess those all still cost at least some money though, and it might be tough to justify it if you don’t have the money to lose. You could also try getting a publisher to pick up your setting and supply the art. You already have the hard work done in terms of creating the setting and rules, although a lot of places might want you to adapt B&C to their preferred ruleset. You could always check out the local University scene for artists. They might be willing to work more cheaply since they’re just getting started.